They say a picture is worth a thousand words. At The Woods on French Creek Care and Rehabilitation, in Avon, residents regularly work with the recreational therapy department to express themselves through pictures and creative arts. On April 8, 2019, the residents took part in National Draw a Bird Day to express feelings of hope and joy— the very feelings that founded this fun “holiday” nearly 100 years ago. The story of National Draw a Bird Day comes from England, where a young girl named Dorie was visiting her wounded uncle in a hospital after he was injured in World War II. According to www.dabday.com, a website that chronicles the history of National Draw a Bird Day, Dorie asked her uncle to draw a bird for her in an attempt to distract him from his ailments and lift his spirits. 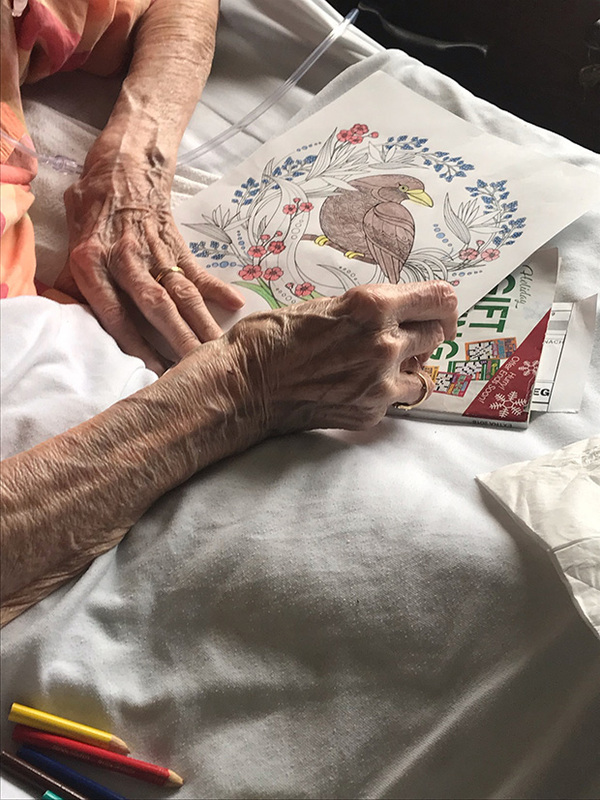 Her request was met with smiles from the soldiers and their caregivers, and soon the entire hospital was drawing birds for Dorie. Tragically, the girl was struck by a car and died just three years later, but her legacy lived on through the soldiers and hospital workers who would draw birds and smile, thinking of Dorie. Today, thousands of people still draw birds every year on April 8; some do it for fun, others do it to distract them from worry or pain. The residents at French Creek drew birds for a variety of reasons, and the benefits were many. The recreational therapists at French Creek know that art can have a positive effect on senior health. The residents and recreational therapists at French Creek are often getting creative to ensure our residents’ lives are not only clinically managed, but also socially and emotionally improved. To learn more about the activities happening daily at French Creek, stop by or call 440-695-1400 to schedule a tour. And, don’t forget to draw a bird and smile! Enjoy these photos of our residents drawing their birds, and share yours with us on our Facebook page.